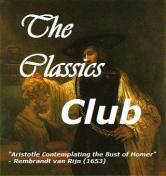 The Classics Club is organising a spin again! A list of 20 classics to read, all ordered in a nice list, and on Monday, there will be a spin, and whichever number is picked, this book I'll read by January 2014 - Let's go! I'm really curious to see which book I'll be reading - what fun! On hearing of Seamus Heaney's death recently, I was amazed at the reaction by many bloggers but also by people around me IRL: rarely has there been a poet held in such high regard, let alone in our day and age. I did not know a thing about him (not something I can easily admit). In such cases, I turn to people who are able to enlighten me and guide me through my ignorance: here, an Irish colleague of mine, who kindly enough lent me his anthology of the 1966-1987poems. 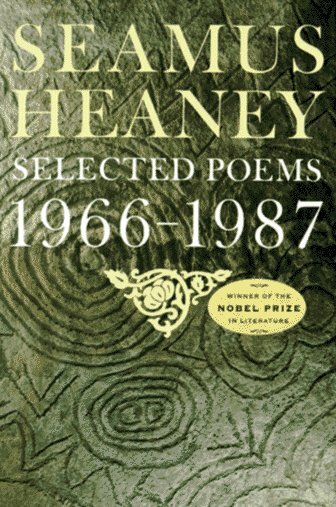 Heaney had a full life. Reading about him, I discovered a person who could transform life's lessons into beautiful words, but who, at the same time, stood with both feet on the ground. I suppose it was his grasp of reality that permeated his poetry: for the first time, I could actually feel the words. "…But I've no spade to follow men like them. He lay in a four foot box as in his cot. A four foot box, a foot for every year." Telluric ash and fire-spores boil away." Heaney was a great poet and a great person. With his poetry, he has touched generations of students who might have been otherwise unwilling, but who then turned into admiring adults (like my colleague). For my part, I slowly grasp the uniqueness of poetry, and am no longer afraid to explore this side of the literary world. This past summer, I was at my friend Maria's balcony, reminiscing about all things and nothing. Inevitably, the discussion came to the subject of recipes. Maria, being a bigger foodie than I am, immediately offered me (thanks dear!) this recipe which, she humbly informed me, was asked in all the potluck dinners she went - if ever there was an indicator of a success recipe, I bet this one is! My friend Anna introduced me to these novels and by introducing I mean she handed me 6 logs all at once. If there was ever a danger of overindulging, this would have been it - but no. Little by little I will savour these books, starting (obviously) with the third book in the series. I found Maisie to be an Agatha Christie reincarnation - and I mean the real Agatha, not one of the characters she wrote about. Maisie is a girl of humble beginnings who, by virtue alone, manages to climb high up the ladder, make herself useful as a nurse during the 1st World War and excel afterwards when we find her in 1929's London as a psychologist and investigator. 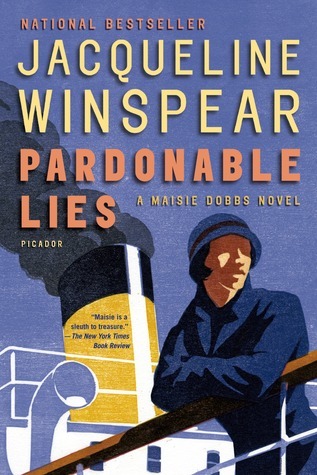 Her insight into the harshness of the war, the difficulty to adjust to "normal" life by many of those implicated in it, make Maisie the ideal person to go to lengths in order to solve a mystery. I'M BACK! after a long, a very long absence to be honest, I'm back. Following a series of exams where the studying took up my entire life (to be a bit melodramatic, but maybe not so far from the truth), I'm back to my "normal" lifestyle, where I read literature again... I must admit I've missed it, and I've missed the interaction with the blogosphere too much for my own good. I promise it won't happen again! I have devoured a number of books to date, but I'll start with one of the lighter ones, perfect for summer reading: I've got your number, by Sophie Kinsella. 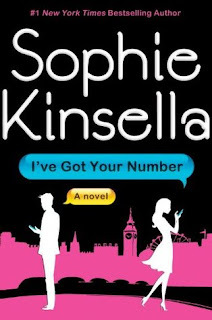 Kinsella is famous for her Shopaholic series, depicting the adventures of a seemingly clueless girl, trying to get through a number of surprises... This book follows in practically the same footsteps, minus the financial disasters! 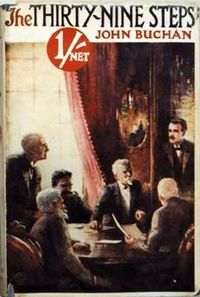 I read Crime and Punishment by F. Dostoyevsky in a readalong organised by Unputdownables over a period of three months. This is, in my opinion, the best way to read such a chunk of classic Russian literature - in a rythme that is manageable, with lots of individual perspectives heard on a plot written in a remarkable style and taking place in an era and a society that are mostly foreign to us. And yes, Dickens writes about similar circumstances but I find his writing style more "understandable". Also, the British reality is perhaps nearer my vision of past history in Europe. 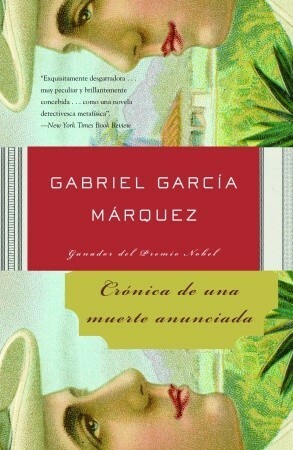 In any case, the fact that several people read this at the same time, with different translations (also a great way to learn different aspects of life depending on the translator's sources) and different annotations shedding light to background information, really proved helpful and made such a great book easy to read as well. The point in question: how easy it was up to the early 20th century to have a woman committed to a psychiatric institution. "A man used to be able to admit his daughter or wife to an asylum with just a signature from a GP"
I certainly love cheesecakes: baked, non-baked, sweet, savoury... Any excuse to have cheese into my meal is good enough for me. But now I got hold of a new aspect: individual cheesecakes. No more cutting, no diet pieces, all in the wonderful muffin form that is so practical. Ebookclassics organised a readalong for the month of April of Anne of Green Gables, and while I could not participate in the weekly discussions, I really appreciated the opportunity to visit one of the prolific authors of children's literature, Lucy Maud Montgomery and read the first novel of the Anne series. In modern terms, this would have been a soap-opera, but with a certain niveau... We are introduced to the family of Eugene Rougon's younger brother, Aristide - and here's the first twist already: in order not to embarrass Eugene's political ambitions, Aristide is to change his family name to Saccard. I just can't believe my eyes when I read this. Our society then is transparent in comparison to this! (This for some reason brings back to mind the story about Coco Chanel, who "invented" her origins when she became famous...). I've never read Zola, and given the praise in Delaisse's posts, and the Zoladdiction organised with Fanda, I felt I had to make this acquaintance - at last. The problem: where to start? One starts from the beginning - or so I thought: Off I went reading The Fortune of the Rougons (La fortune des Rougon), the first of Les Rougon-Macquart saga. 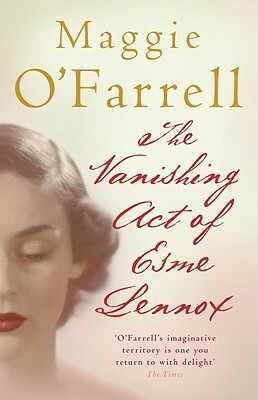 I've stopped about quarter-way and I intend to pick this book up again in the near future. The wording is sublime - French at its best, with the descriptions detailing minutely the situations, the atmosphere, the background information we will need for the remaining volumes. But after a 3-day period, I had witnessed nothing. I'm still in the background frame and I begin to feel there will be no central plot... I know that I should persist and complete my challenge but I've just bought two other Zolas - La Curée and Nana. And I want to give those a try, just to make certain that I'll come to discover Zola's genius soon enough. After a first disappointment with the James Bond novels, I knew I had to give this franchise another try. A friend gave me Casino Royale to read, together with a very encouraging review. 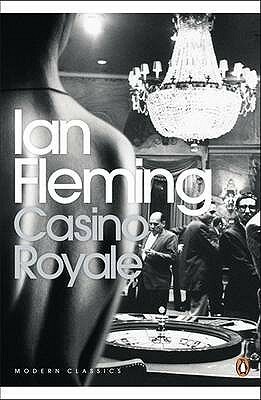 Casino Royale is the first James Bond, written by Fleming over a period of two months in his favourite hideout in Jamaica. It is primarily inspired by Fleming's personal experience in the diplomatic circles -- and I would say this is what distinguishes this from other spy-novels. Here I have to admit I was slightly apprehensive: I had started on the wrong foot with Wharton, and I knew this would not be an easy task. I should not have feared: I now know that Wharton is more than one piece of literature. "Amusement is hardly what I look for in my choice of books"
"... being asked her opinion of a book. Books were written to read; if one read them what more could be expected? To be questioned in detail regarding the contents of a volume seemed to her as great an outrage as being searched for smuggled laces at the Custom House"
Now, I have met such people, I have to admit. And I have seen this struggle to pretend to being something more. Something greater. Something higher. And it just won't work. There will always be a black sheep (hello, Mrs. Roby), who will basically form part of this group by accident. But she will never strive to prove her worth against her fellow members. She is content with what she is and does, and will not hesitate to show how well she knows the others by playing a nice little farce. A farce so well executed, she will even fool the distinguished guest. The guest who will recognise Mrs. Roby's genius and will leave the whole group to further engage in a discussion with her. Double the trouble then: the group agree it's time they let Mrs. Roby go. They shan't be made to look like fools by someone who is not deemed suitable to "participate in the mental gymnastics of the club". 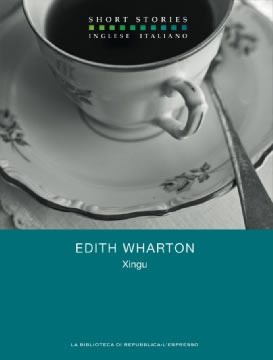 Xingu is available for free on Project Gutenberg. This post will also be published on Project Gutenberg Project. 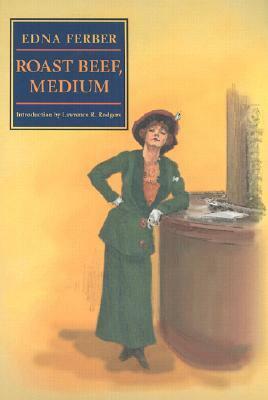 While this book could well make the case for being a feminist one, I did not feel this: there is still a fine line between emerging feminist thoughts and nostalgia for the traditional roles in society expressed by Emma McChesney, our heroine. I would just say it's a novel way ahead of its time: Her "adventures" could well have taken place in modern times, which made me wonder: if these descriptions apply today and the problems are still in existence today, what was the situation back in 1913? How could Emma, any Emma, survive, when even today women can still fail facing such challenges? 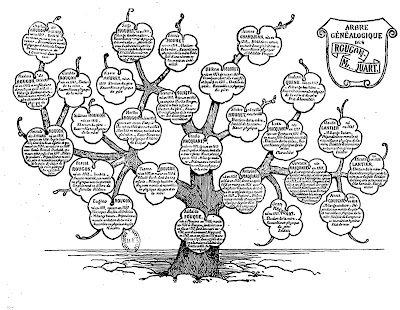 On this first Classics Club spin, lucky number 14 got me The Symposium by Plato - an essay on the many aspects of love and an insight into the notion of platonic love. The title means something like "a get-together with drinks" which is what DOES NOT happen when several of the main characters meet to eat and be merry (they actually talk of the vice of drinking...oh Dionysus! ), and where Socrates will eventually speak of his version of love. 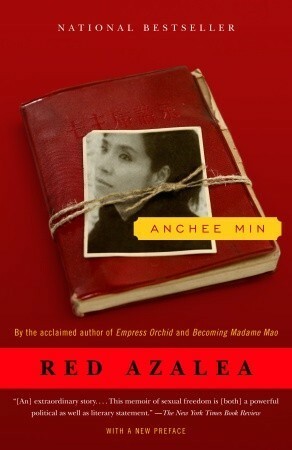 A book for my book club, the Red Azalea by Anchee Min came with loads of appreciation from the literary circles. I was really intrigued to read about the broken childhood of a girl in Mao's China. A memoir that would reveal the poverty behind the extravagant curtains and the truth behind the lies of the Chinese regime of the time. While the book did deliver on its promise, I was not mesmerised with its writing. 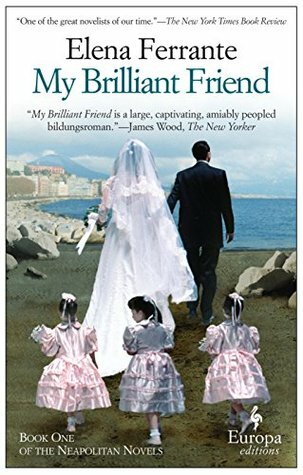 While I wanted to be swept away into the feelings of Min of the disasters that befell herself and her family, I could just witness the situations one by one, from childhood until she leaves for the USA, without any sense of emptiness, any sense of stolen childhood -- something I thought I would find in this book. 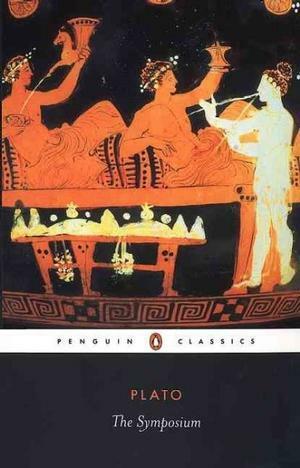 For this month's Let's read Plays, I read Antigone by Sophocles. 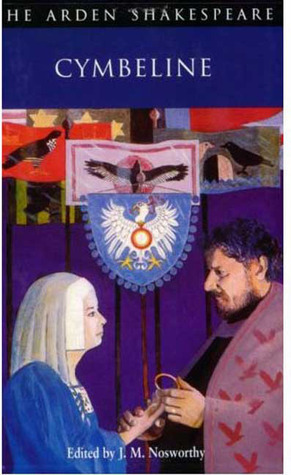 A shortish play that forms part of the Theban plays, together with Oedipus Rex and Oedipus at Colonus. It is a tragedy, as many of Sophocles' plays, but with a slight twist: here the main character is a woman, a woman defying the limitations of her gender at the time, a woman ready to accept the consequences of her actions. Her father is dead, her brothers are dead, and Antigone is now left alone with her sister Ismene. But while Ismene is the typical fairy creature, Antigone is a boyish creature (she reminded me of Joan of Arc), wishing to go beyond the rights given to her gender. But her uncle Creon, who is now king, will not allow for this. She is to marry his son, Antigone's cousin, Haemon and do great things for Thebes. Antigone, however, has different views. Her brothers died a vicious death, trying to kill each other for the throne of Thebes. Creon only buried one of the brothers, Eteocles, leaving the second to rot in the elements - something against the customs of the time. While this is a compact play, there is a variety of themes across the story: should the family / moral values supersede those imposed by the establishment in the city? for whatever reasons, Creon has banned the citizens from covering Polynices and has even warned anyone with severe punishment. Still, Antigone cannot let this deter her from her sacred duty towards her family. Not only that, she's willing to accept her punishment and she will even go against her sister, who's trying to reason with her. But therein comes the second theme: that of blind arrogance. Both Antigone and Creon believe their side of the story the correct is. The difference between them is that Creon becomes so consumed with his anger towards the "insubordination" of Antigone, that he orders his guards to keep a close leash on both sisters so that they... behave like women again (*insert slight sneer*). But the biggest theme must be the curse of the house of Oedipus. All three of the tragedies are very detailed on the misfortunes that befall on the last remaining members of the family, Antigone and Ismene. They cannot escape: ever since the glorious victory of Oedipus and his marriage to Jocasta, disaster has remained in this house, "eating up" its members one by one. But the play also makes a case for love: Haemon tries to make Creon see reason and not bury Antigone alive and even hints at a possible suicide if Creon doesn't change his mind. While by today's standards all this would be considered overwhelming and irrational, it is the purpose of this tragedy to show that humans have limited capabilities, their emotions can be destructive and only the fate dictated by the gods should be their guiding light. The only way to convey this message is to exaggerate and present all the horrible results if humans do not abide. 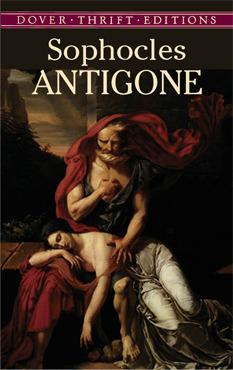 Sophocles' Antigone (in both Greek and English) is available on Project Gutenberg. This post will also be published on Project Gutenberg Project. I have always thought graphic novels were not serious. They were for children, teenagers and not more beyond that... Leave it to my friend Carmen to introduce me to a wholly different world, a world that yes, includes all those teenagers, who will not be afraid to show up at a comics convention dressed up as their heros - I know this is normal, but for me, visiting an exhibition next door, quite a revelation - but will also move into the adult population, only to find there an equally passionate audience (minus the dressing up). After the Largo Winch initiation, it was time for something softer, something closer to the classic literature I so appreciate. 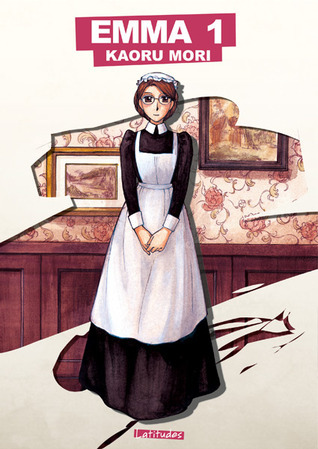 So Carmen introduced me to Emma, and a major Japanese graphic novel author: Kaoru Mori. But this initiation was also for the type of graphic novels: as I was informed, these are the "true" Japanese manga, which one has to read backwards: from the end to the beginning, from right to left. Now, just that change is enough to put me in a good mood and start reading without any prejudice at all! I had long wanted to read Miss Lonelyhearts by N. West. When Allie offered to host Modern March, I knew this would be a great opportunity to do so. Dealing with religion is never easy. There's never a universally accepted manner in which to portray one's struggle with moral values and the contrast with modern life. 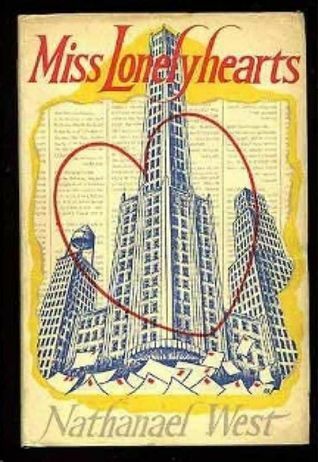 Combined with a failed society, in the midst of an economic depression, one can feel the despair Miss Lonelyhearts experiences in his daily life. Continuing my quest for delicious meatless recipes, this is an extraordinary take on the mac and cheese variety: I'm usually the type to go for sausage/pepperoni additions, but here I have converted to this plethora of (grilled) vegetables - the addition of many layers of cheese only makes me happier! So many themes get mixed up in an atmospheric background, that I almost forgot what the subject was about: this is a heinous crime, the murder of Santiago Nasar, and the narrator wants put the pieces of the puzzle together and record the events leading up to Santiago's demise. Do you love Jane Austen or want to “dig her up and beat her over the skull with her own shin-bone”? Fast forward to my blogging adventure, where I read Lady Susan. What a revelation! I was reading something of Austen that did not ooze with romance, did not blind me with Herculian handsome men and definitely did not describe any damsels-in-distress! Furthermore, I could actually pick up her wittiness and the subtle manner with which she managed to include the famous "social commentary". 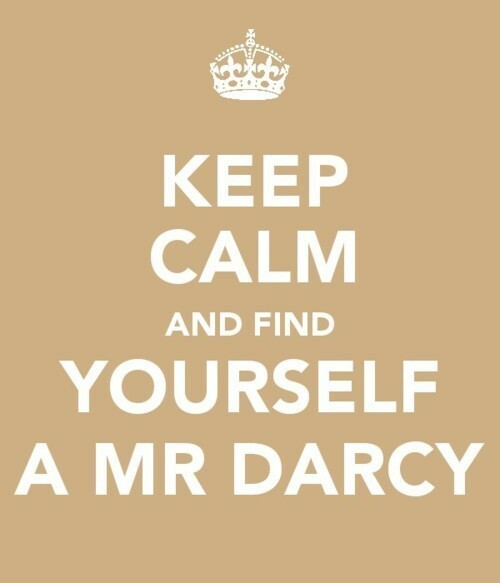 I was relieved - I could like Austen after all! 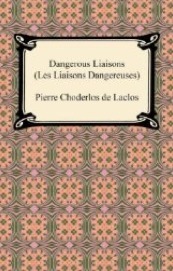 The Dangerous Liaisons by Pierre Choderlos de Lactos is a novel published just before the French revolution, about the immorality of the aristocratic classes, and I think I know it more from the various film adaptations than the book itself. We enter the lives of Marquise de Merteuil and Vicompte de Valmont - two members of the high society, bored to death and trying (desperately) to hang on to the power they have against each other. I read the novel in the original, and I've found it to be an extremely good show of how the French language can be so "correct" and "vulgar" at the same time: the nuances, the double-entendres give and take from the beginning, and I thoroughly enjoy reading it. Other characters join in the plot, and slowly I get the real image of what is happening: this is not a novel about love - it's about power, class hierarchy, fear of attachment and backstabbing whoever stands in the way. I can sense the tragedy lurking in every corner, waiting to happen. Still, I cannot feel anger or disgust towards either of the two main characters - they are the product of their society and, as the Marquise herself says, they are self-made, have managed to stand out in society and will, under no circumstance, yield this "advantage" to anyone. 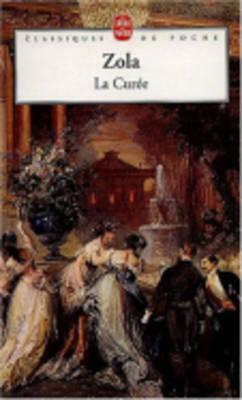 And, while de Lactos was trying to paint the "wickedness" of the aristocracy in vivid colours, I believe it has become a classic because it describes personal feelings (or absence thereof) still found in our society, where we seek to maintain our autonomy to the detriment of close liaisons with people around us. 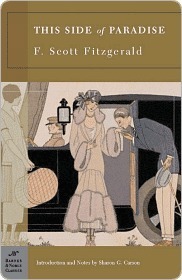 Another interesting fact about this novel is the date of publication, just before the French Revolution - whether, of course, this novel would have any real influence to the events leading up to the elimination of this unequal lifestyle is to be debated, but I could well imagine the scandal produced, the identification with real people and the discovery of the wall between the servant class/bourgeoisie with the aristocrats just put one more stone towards the final confrontation.